My husband and I have been working recently on healthier eating. I joined crossfit and I’ve been trying to eat well that way I could get the most out of my workouts. I’ve heard a lot about making your noodles out of Zucchini and I thought that it was just crazy talk, so I didn’t even consider it. Only problem, is that I really like noodles and that was something I didn’t want to eat too much of. I decided to try out Easy Zucchini Noodles, A.K.A Zoodles to see if they were good. I was shocked to find out that they are delicious. The first thing that you will need when to make these Easy Zucchini Noodles is a Spiralizer. 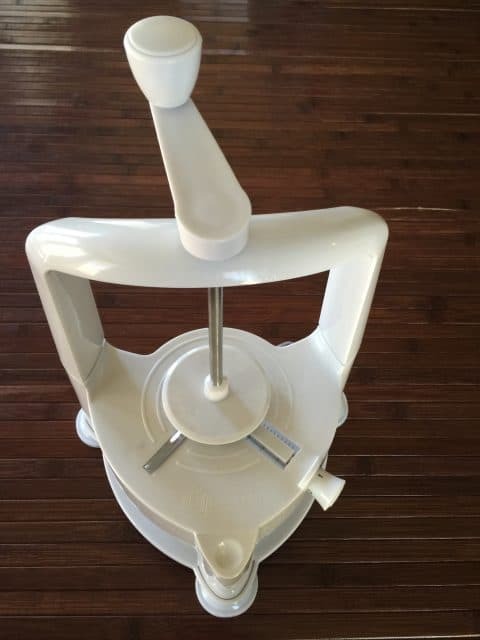 I do a lot of my shopping on Amazon, so I went with the Brieftons Vertico Spiralizer because the price was affordable and it had a lot of good reviews. The important thing is that it is easy to use. We have been making zucchini noodles almost every day since we received it. 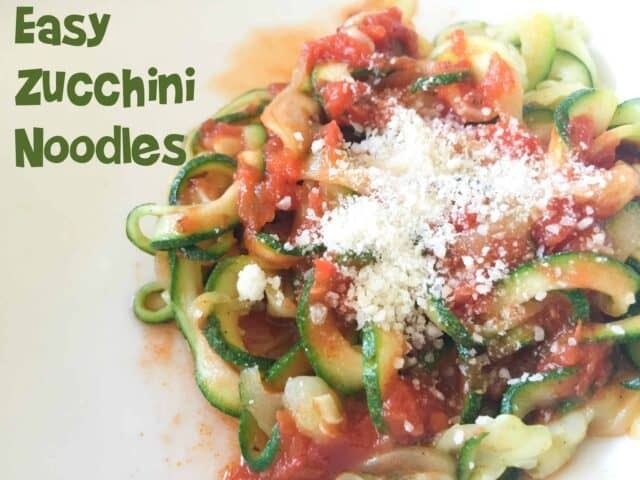 Amazingly, my kids love our Easy Zucchini Noodles, too! The receive can be served with red sauce or with salt and pepper depending on taste.